Coravin products help wine lovers open and pour bottles without removing the cork and then preserve them even if they are unfinished by injecting Argon gas into them. Sounds complicated and hard to imagine without a demonstration? Enter PERCH. Coravin launched their interactive retail display at Bloomingdale's. Every time a customer picks up a product, the embedded PERCH display launches rich media explaining the products, how easy they are to use and which products to pick based on their needs. The giant 7'8 by 6'6 display is both elegant and effective in drawing attention in a densely populated wine department. The large 55" screen is playing an "attract" video that stands out from the static product displays. 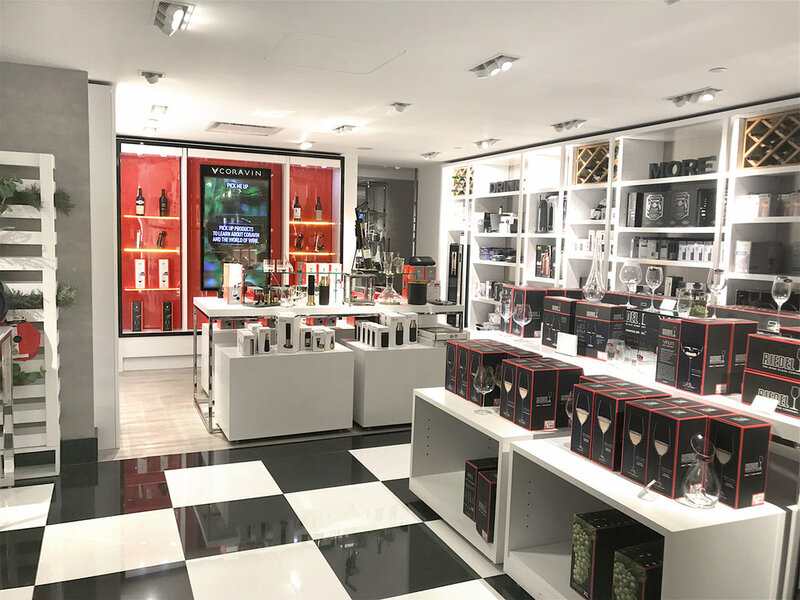 The bottom line: Bloomingdale's now has an engaging customer experience in their home goods section and Coravin is drawing awareness and significantly increased sales lift.